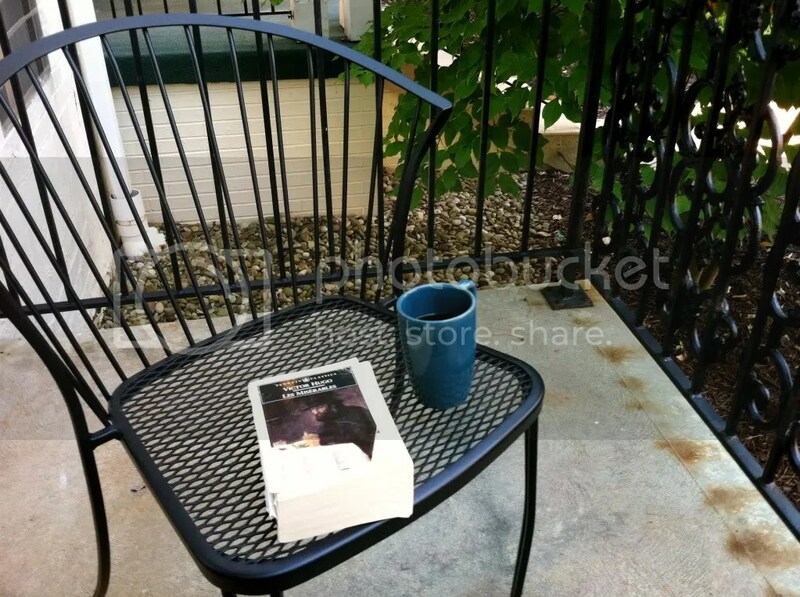 When the weather is nice, there’s no better way to start a Sunday than on my porch with a good book and a fresh cup of coffee. I’ve taken a break from my current reading list to return to an old love of mine. In my mind, Les Misérables is one of the best books ever written, worth all 1200-some pages, and is tied with The Count of Monte Cristo as my favorite of all time. Among all of the other things that come with graduating college and moving to a brand new city far away – a diploma, the real world (already?? ), having to cook my own dinner every night of the week, a paycheck (yes! ), rent/other “real world” expenses that require most of that paycheck – there is one thing that comes in spades. And it’s this lovely thing called retrospection. Retrospection is a sometimes useful, sometimes dangerous, and extremely time-consuming activity. But it’s also very enlightening. They say hindsight is 20/20, and in looking back on the last several years, I’ve figured out a lot about myself and about life. Here are the highlights of those discoveries in bulleted form. Who my real friends are. How lucky I am to have those people in my life. How much I actually love ridiculous 80’s music. Not everyone lives by the saying “if you’re early, you’re on time; if you’re on time, you’re late” like I do. Finding time to read for leisure is critical. Coffee is arguably the greatest beverage ever created. Coffee is expensive and I cannot/should not spend my entire stipend on it. Following sports is not only fun, it gives you something to small talk about other than the weather (which is important when you don’t keep up with current events). As an adult, people assume you do keep up with current events. You save a lot of money by taking a bagged lunch to school/work. Dressing up gets old quick when you have to wear business clothes to work every day. And no one actually cares if you get coffee / run errands wearing a faded college sweatshirt. Actually, some people think you look prettier that way. I’ve turned into a huge cynic. I need to stop being such a cynic. The few people that make me want to completely give up on mankind are, in fact, a very small percentage of the population. It’s a big world. It’s a small world. And it’s connected. When in doubt, go with your gut. Your best friends aren’t necessarily the people you talk to 24/7 or eat lunch with every day. They might even be asleep when you call them at 2 am. But they’re the ones that call you back the next day and listen to you for hours, even if they’re tired of the subject or don’t agree with how you handled it. They distract you and make you laugh. They bring you coffee and king-sized Reese’s cups when they meet up with you to talk about your relationship troubles because they know chocolate fixes everything for awhile. They’re there for you when it really counts. Sometimes you’ll be surprised by who will do that for you. Sale-shopping is the way to live. To-do lists and calendars are the key to successful time management. If it’s been several months or years and that guy still hasn’t made up his mind, he probably won’t do it soon. So it won’t hurt to go out with that other guy who actually knows he wants you. In fact, it would be a good idea to do so. Mom was right about thank you notes. They never go unnoticed nor unappreciated. 1. i finally decided on a graduate school and now it’s starting to hit me that i’m really moving in june. 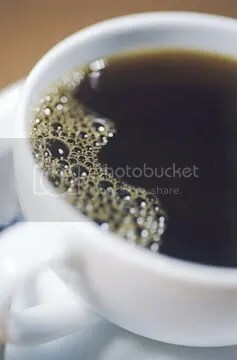 2. i’m back to drinking coffee. originally, i had this whole post written out explaining how my resolution failed but it really comes down to two words: need. caffeine. 3. this entire post is in lowercase letters because it’s a monday. 4. it’s spring break week. 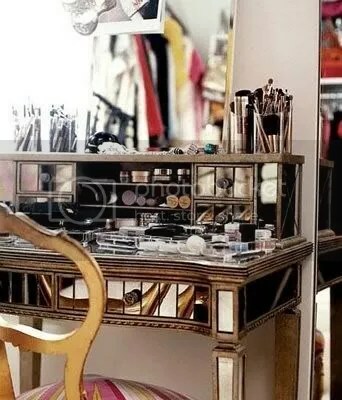 5. i stumbled across this mirrored dressing table while looking for apartment-decorating ideas. i’m sort of in love with it. i’m thinking a vintage furniture shop is my best bet for finding something like it. My best friend challenged me to give up coffee for Lent. It took some strong persuasion on her part, but eventually I caved. It’s only 40 days. She’s doing the same for an equal vice of her own. We agreed to make it work and support each other, so it should be doable for both of us (and it should help me with that New Year’s resolution I made). The last time I gave up coffee for any extended period of time was the end of sophomore year. I quit caffeine cold turkey a little before finals (worst timing ever, in retrospect). I lasted three weeks, at which point I started my first full-time job. A 40-hour work week, combined with the fact that coffee was the social outing of choice for friends and co-workers, did me in. Lent starts March 9th. This will be interesting. 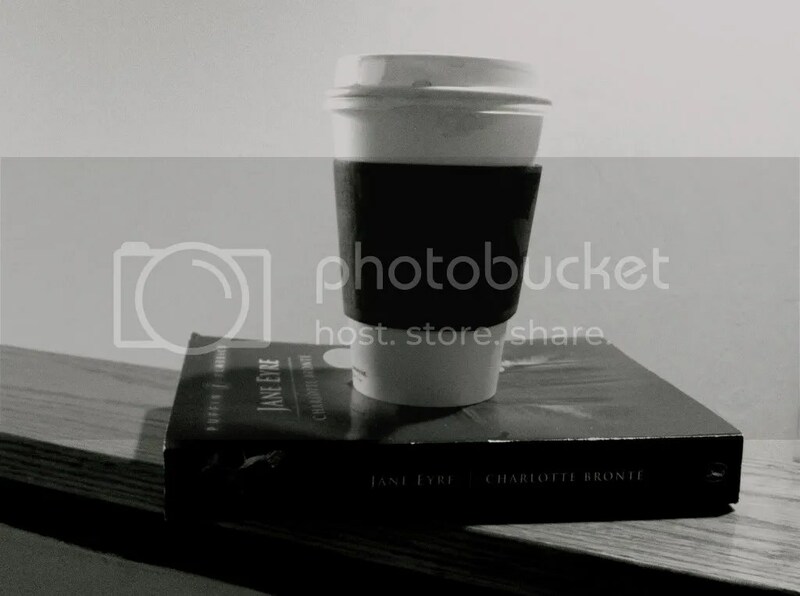 Edit – March 11: Caffeine withdrawal brought this plan to a screeching halt. See this post.